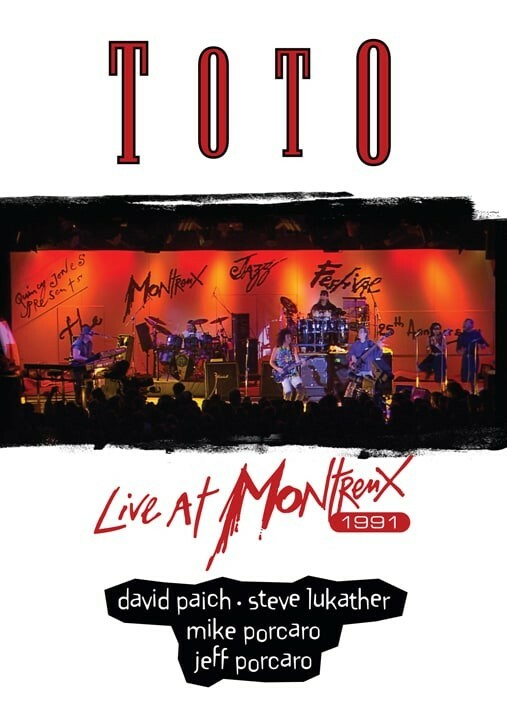 A nice addition to both the Toto DVD collection and the Montreux Jazz Festival archive, this relatively short, nicely filmed concert dates back to a time when the AOR legends were in a state of flux. Original singer Bobby Kimball and subsequent replacements Fergie Frederiksen, Joseph Williams and the ill-fitting Jean-Michel Byron were all out of the picture, so guitarist Steve Lukather and keyboardist David Paich had opted to lead a scaled-down version of the band into the future with the imminent 'Kingdom Of Desire' album. It's interesting to see the four-piece Toto – completed by founding drummer Jeff Porcaro and his incredible brother Mike on bass, along with percussionist Chris Trujillo and a trio of backing singers for company – obviously not holding back on the muso aspect to fit in with Quincy Jones and Claude Nobs' famous annual event. Starting with the as-yet unreleased duo of 'On The Run' and 'Kingdom Of Desire', the hirsute Lukather sings and plays superbly, raising his game further for the ballad 'I'll Be Over You' before handing over to Paich for an extended 'Africa'. However, it's the instrumental 'Jake To The Bone' where Toto stretch out and prove they can hold their own amongst the exulted company of the world's top Jazz musicians. It's a little sad to see the smiling face of the superb Jeff Porcaro on what would turn out to be his final tour, and indeed the spidery bass prowess of brother Mike who also died last year, but the chemistry between the whole band and the little glances and smiles are just as special in this performance as the stunning musicianship. Lukather manages to make a Jimi Hendrix cover his own with a rousing 'Red House', but if there's ever been any doubt about the sheer talent in the band, the hit single 'Rosanna' has groove, flair and song-writing chops to rival any group in any genre. A riotous version of Sly Stone's 'I Want To Take You Higher' ends the eight song set with all the festival's other performers crowded onto the stage, including Jones himself and keyboard wizard Greg Phillinganes, who ironically would go on to join the band many years later.